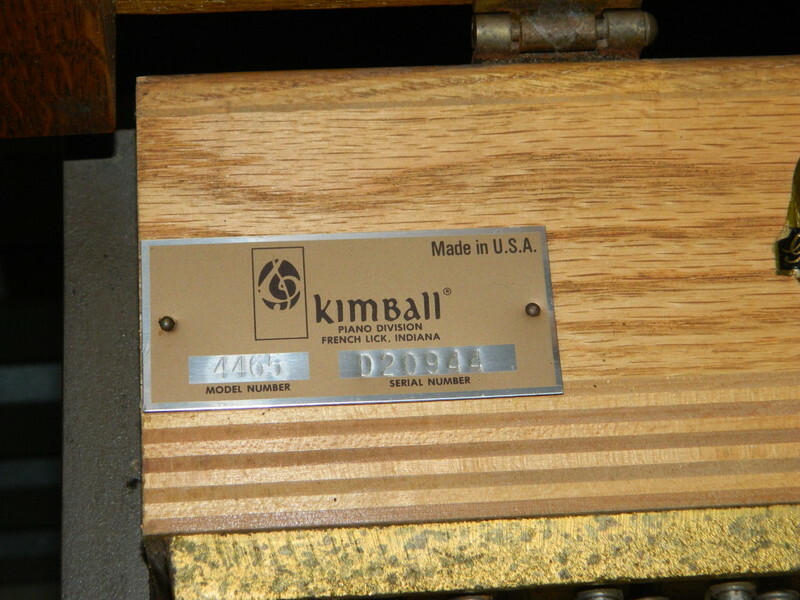 Kimball Console Purchased by a Private buyer in May 2015. 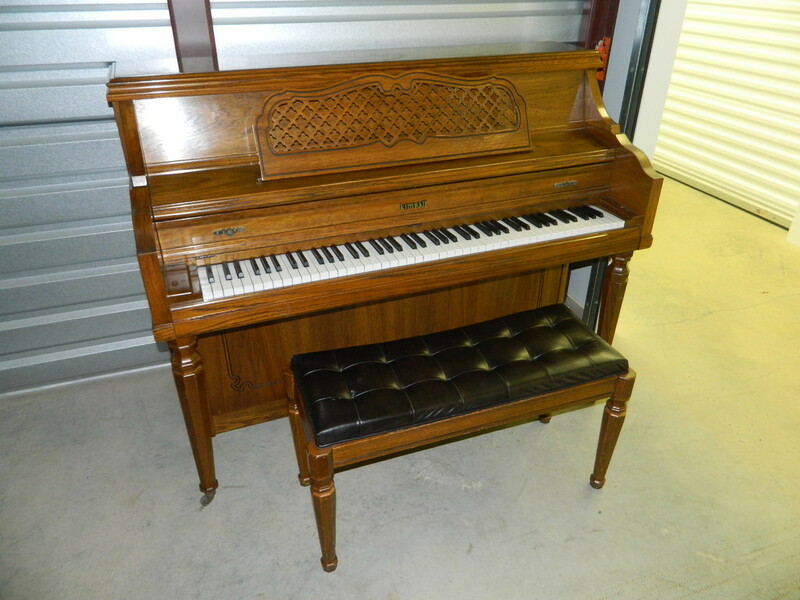 6/11/13 - I have this Kimball on consignment. 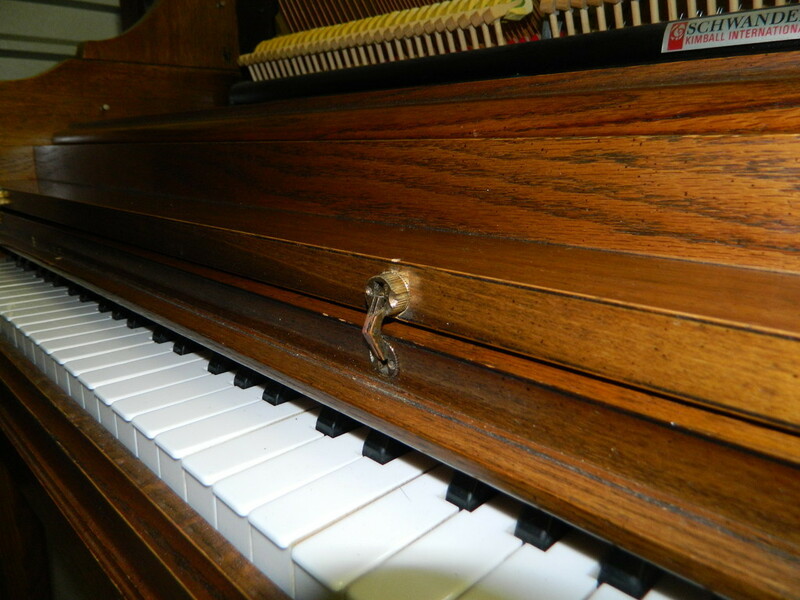 The piano is in overall good shape. 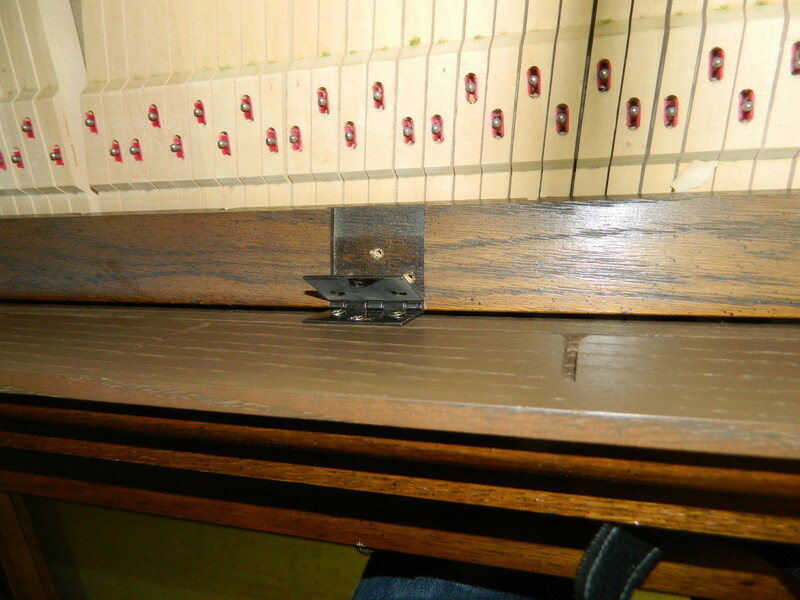 The fall board is broken and comes apart easily when opening and closing the piano. 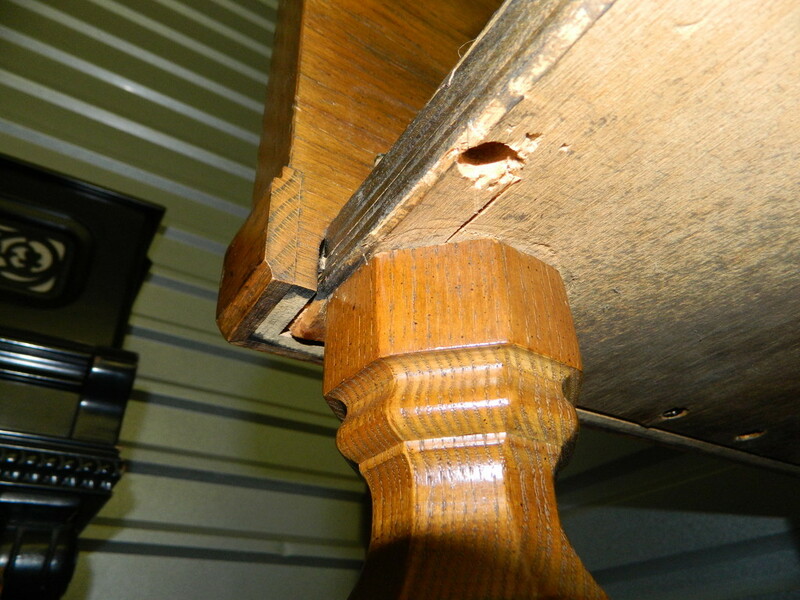 The left leg is loose. 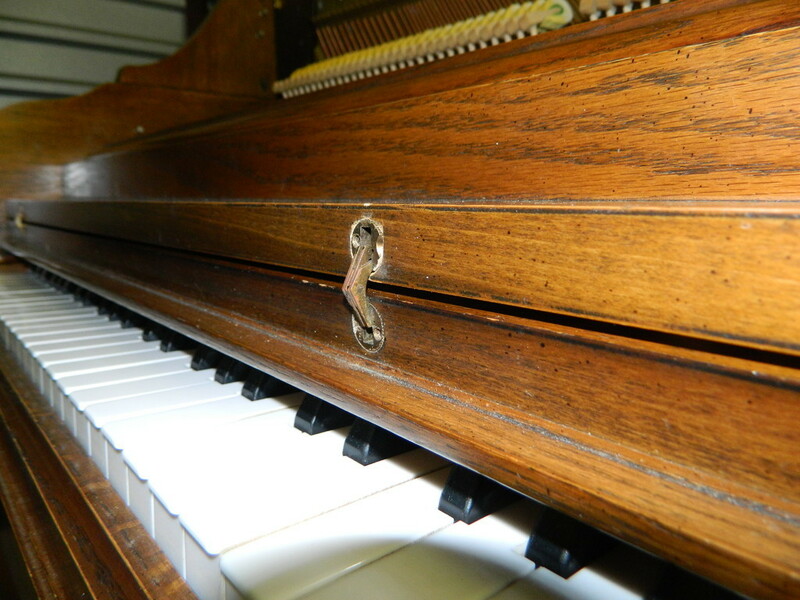 The piano is out of tune, but has a good clear tone. 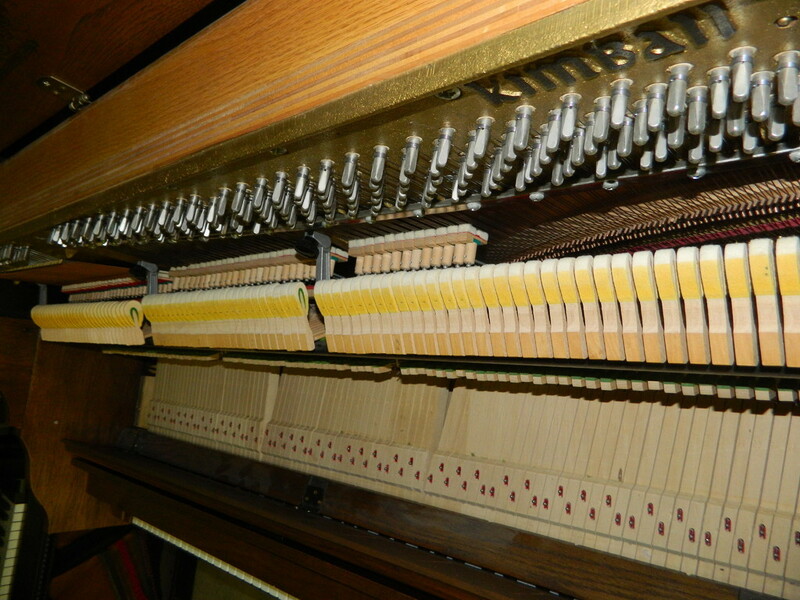 I will be repairing the fall board and left leg, tuning the piano and checking the action for any further problems. 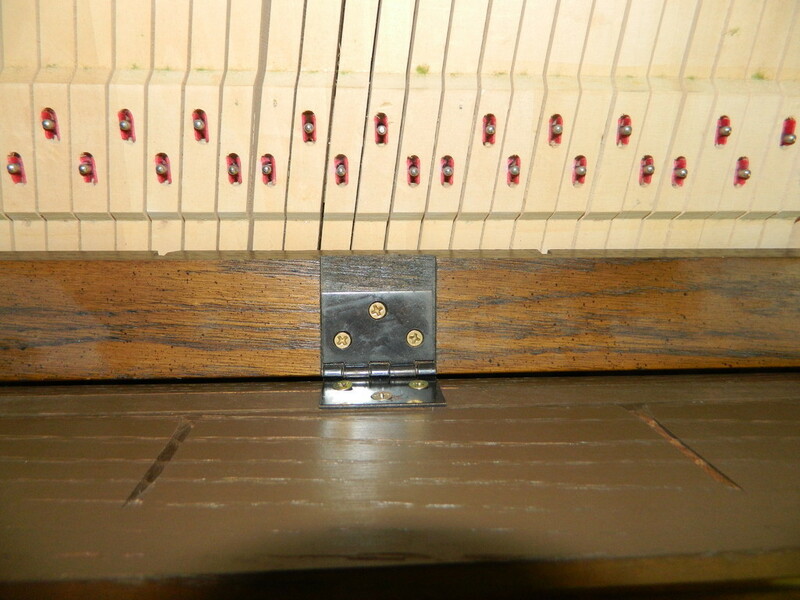 6/12/13 - I repaired the fallboard hinges and the fallboard now moves freely without falling apart. 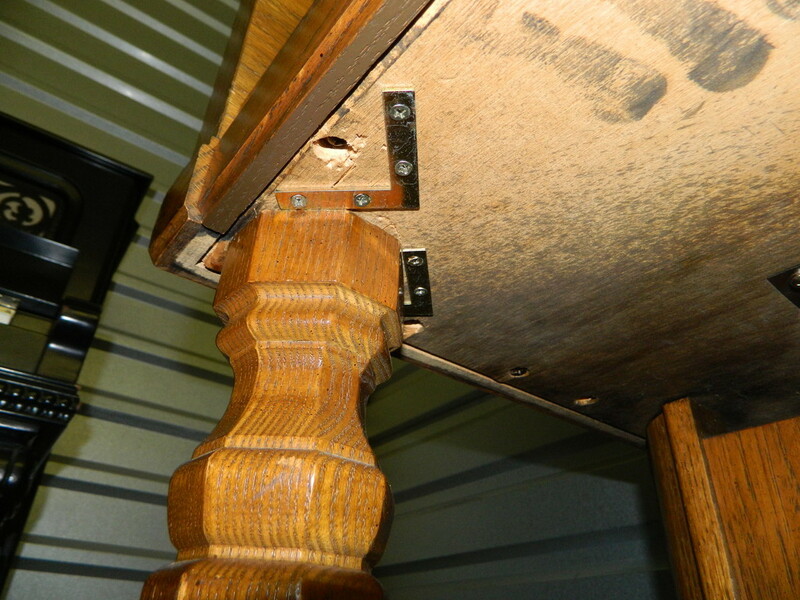 6/17/13 - I added a bracket to tighten up the leg. 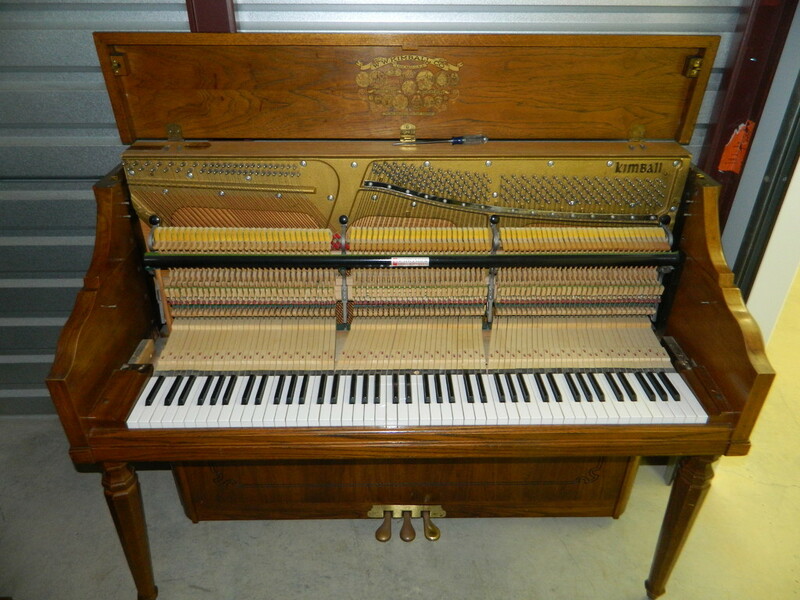 8/15/13 - I reshaped the hammers and raised the piano to pitch. 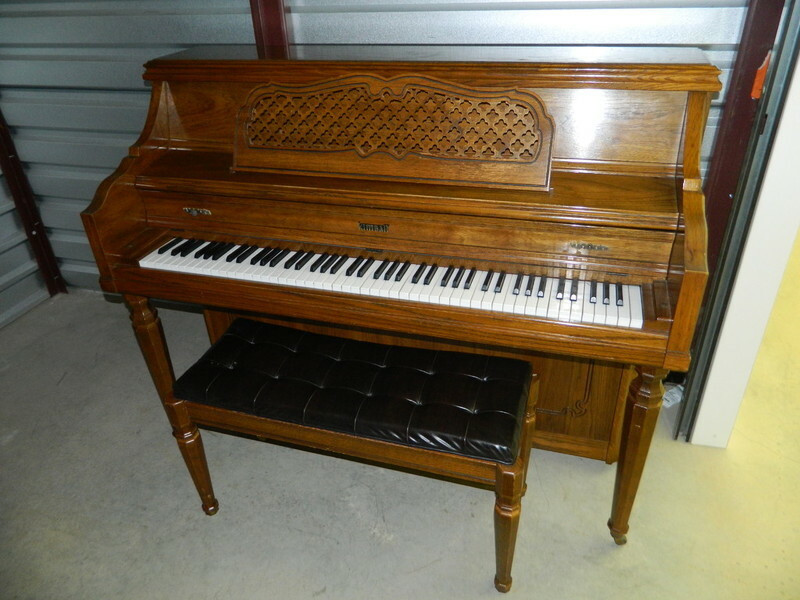 It sounds great and is ready for a new home!